He describes the periods of the prehistoric world, explains the differences between a Suchomimus and a Spinosaurus, and sets out his plan to write two more books about dinosaurs. All very impressive for a seven-year-old. Pritvik has astounded his parents, peers and teachers with his incredible knowledge about palaeontology. His debut as a published author with his book When Dinosaurs Roamed The Earth takes his academic achievements to a new level. “My book is about the different periods and the dinosaurs that lived in them. The periods in my book are Triassic, early-Jurassic, Jurassic, early-Cretaceous and Cretaceous, so five different periods,” said the Year 3 student at Dubai British School. Despite the complexity of palaeontology, Pritvik grasped the subject at an early age. He was less than one-year-old when he first started quizzing his parents on matters of the universe. “I was nine months old when I first got interested in dinosaurs. I was interested in dinosaurs because they are very fascinating and they are one of the oldest things on the whole planet,” said Pritvik. Pritvik’s mother Indira was shocked at her son’s early passion for the prehistoric. She’s also unsure as to how Pritvik picked up the interest. “None of us in the family are into any kind of prehistoric creature or animal! It’s completely down to Pritvik,” she said. Pritvik’s teachers were also taken aback by the young boy’s fascination and knowledge of the prehistoric world. But after talking with Pritvik and discussing his interests, the school was able to nurture his talent. It was Pritvik’s foray into teaching that ultimately inspired him to write the book. 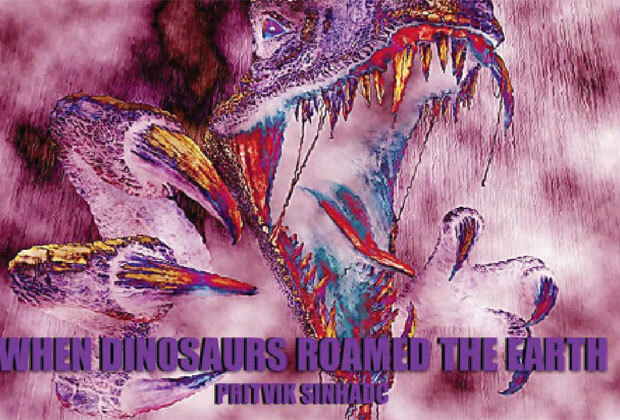 Pritvik’s colourful book with dramatic illustrations of dinosaurs explains in clear, concise language the different creatures of the prehistoric world. Already written, his second book will be about Suchomimus and other fish-eating dinosaurs, while he is also planning another book about animal mutations. 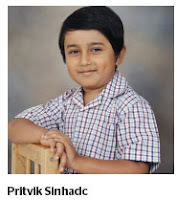 Despite only being seven years old, it’s clear to see that Pritvik has a bright future ahead in palaeontology.